The green overhead light at the back of the cavernous room is on, which means the Seventh Coast Guard District Command Center is in unclassified mode. Outfitted with banks of computer monitors, oversized electronic situation maps and television screens, the secure complex on the eighth floor of the Brickell Plaza Federal Building in Miami is the nerve center for the district’s operations. Marine journalists were briefed on the Coast Guard&apos;s search-and-rescue system in Miami. The command center covers more than 1.7 million square miles from North Carolina to the Atlantic waters off South America, through the Caribbean and Gulf of Mexico to the Mexican Yucatan and Florida Panhandle, and it is divided between law enforcement and search-and-rescue staff. 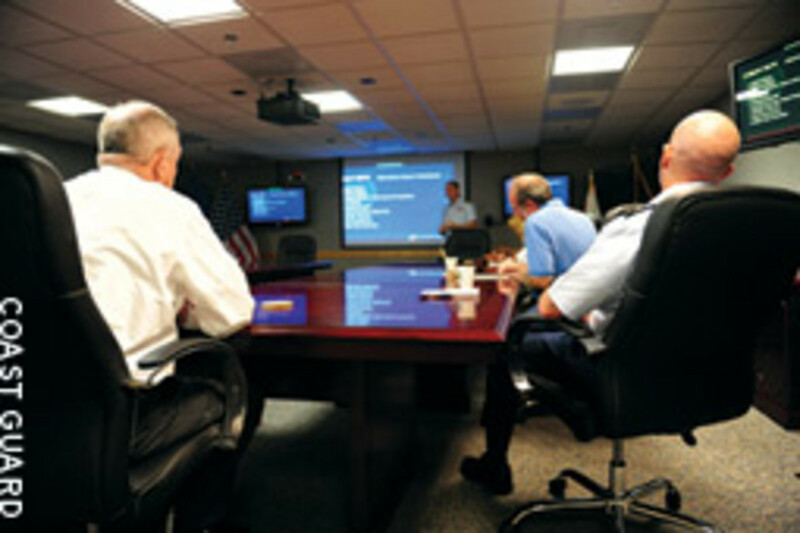 In times of crisis, the whole room can be mobilized to oversee the Coast Guard’s response to a hurricane, oil spill, earthquake or ship grounding. 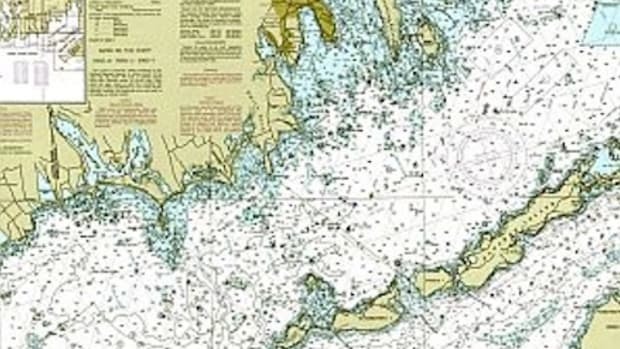 A large electronic map up front shows where, at any given moment, the Coast Guard’s cutters and aircraft are, as well as Homeland Security assets, commercial aircraft, freighters and passenger ships reporting over the Automatic Identification System and fishing vessels reporting to NOAA. When an earth station receives an EPIRB signal relayed by satellite, the alert is forwarded to the Coast Guard Command Center. 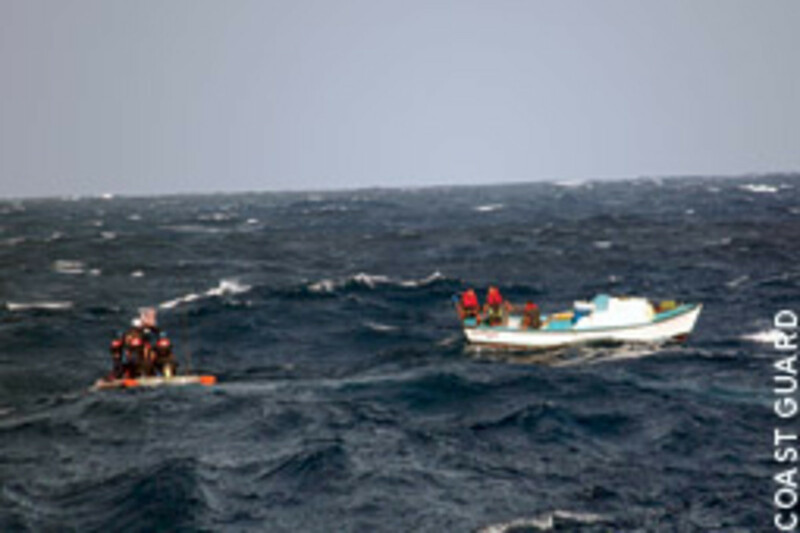 The EPIRB’s location appears on the situation map, and search-and-rescue staff swing into action. Their first task is to determine whether the alert is a true emergency or an accidental activation. If it’s an emergency or the command center can’t be sure whether it is, the Coast Guard aims to dispatch a rescue craft within 30 minutes, says Lt. Aaron Jozsef, a Coast Guard search-and-rescue controller in Miami. 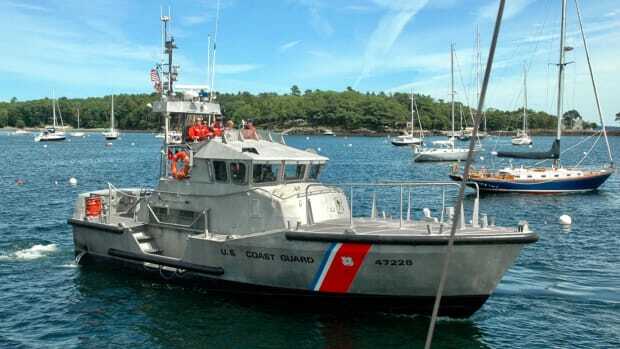 The rescuer could be a Coast Guard, Navy or Homeland Security asset, a nearby pleasure boat or a ship that participates in AMVER, a voluntary program that diverts commercial vessels to help in rescues. Ideally the asset will be at the scene in 90 minutes — two hours at most, he says. At a February 15 briefing for marine writers, Jozsef said the Coast Guard has an “elegant, sophisticated” search-and- rescue system in which boaters have a vital part to play. “We have all these wonderful tools, but unless you do your part it doesn’t work,” he says. When it comes to search and rescue, boaters must do their part by carrying the proper equipment. For starters, Jozsef advises boaters to carry a 406 MHz EPIRB, preferably with GPS, either integral to the unit or linked to it, so they can send a distress alert and location to the Coast Guard if they get into trouble. He also recommends carrying a DSC activated VHF radio. With the push of a button, it sends a mayday signal and, embedded in that signal, the radio’s unique Maritime Mobile Service Identity number and the boat’s location if it is properly linked to GPS. VHF enables the boater to talk to the Coast Guard and tell a watchstander what’s going on. When the agency receives a mayday with no location, the watchstander can ask other boats over VHF if they heard the mayday, too, or saw anything, which helps identify where it came from. The Coast Guard’s new Rescue 21 DSC VHF communications system has sophisticated radio-direction-finding capabilities, but Jozsef says it doesn’t always work when VHF traffic is heavy. When a mariner hears an Urgent Marine Information Broadcast querying skippers about whether they heard a mayday or saw anything unusual, it’s important to respond, Jozsef says. It helps. 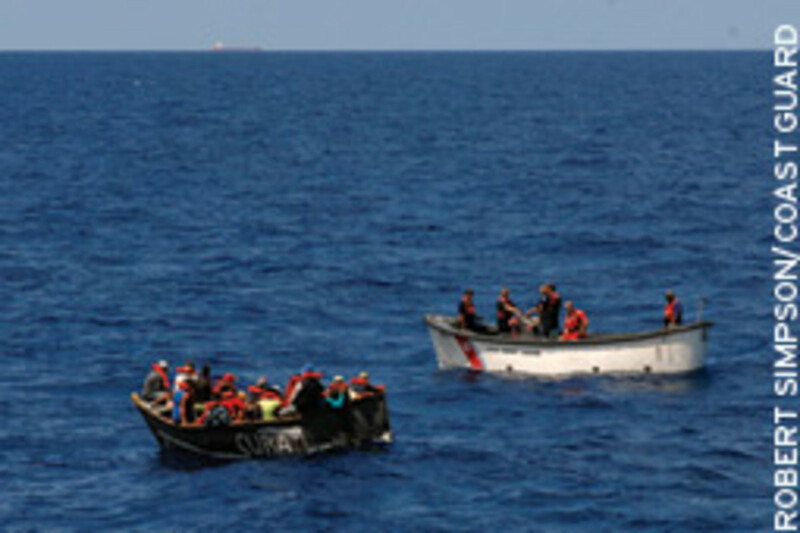 District 7 responded to 2,417 search-and-rescue cases in 2010 — 16 percent of the Coast Guard cases nationwide — and 460 of those cases involved 406 MHz EPIRB activations. Value of property saved: $12.2 million. 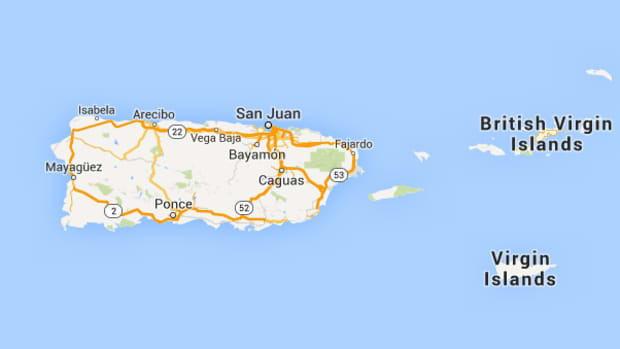 The Coast Guard&apos;s goal is to be on the scene 90 minutes to two hours after an alert is received. EPIRBs and DSC VHF radios work most efficiently — and rescuers can respond more quickly to an alert — when the devices are properly registered and are linked to GPS, Jozsef says. 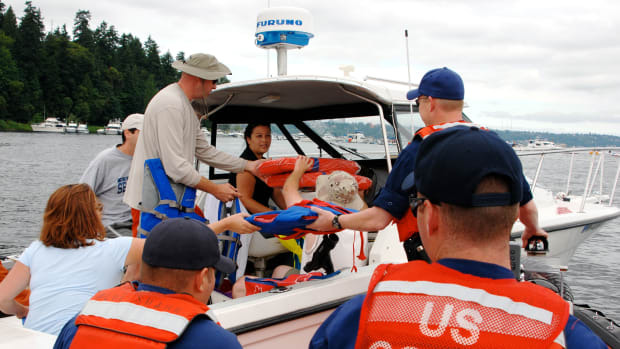 Search-and-rescue staff can quickly identify an EPIRB or a DSC radio in a central registry from the unique identifier numbers embedded in the emergency signal if the boater has properly registered the units. Command center staff can pull up from those registry’s information about the boat and, most important, emergency contacts that they can call to verify that the alert is a true emergency. Eighty percent of false alerts are resolved at the command center using “detective work” — tracking down EPIRB owners or emergency contacts — before dispatching rescuers. Yet 16 percent of EPIRBs remain unregistered. Less than 10 percent of distress calls from DSC radios are linked to GPS, which tells rescuers where the distressed boat is, and have an accurate, properly registered MMSI number inputted in the radio, which gives the Coast Guard access to registry information about the owner, the boat and the owner’s emergency contacts, Jozsef says. “It is the owner’s responsibility to make sure your registration information is current and up to date,” he writes in a summary of his command center presentation. Jozsef advises boaters to keep three words in mind: help, notify and survive. “Help” us help you, he says, by preparing before you set off. Carry safety gear, file a float plan, watch the weather and register your EPIRB and DSC VHF radio. Know how to deploy and use all of your safety gear, including the EPIRB, flares and life raft. “Equipment is great, but you have to know how to use it,” Jozsef says. 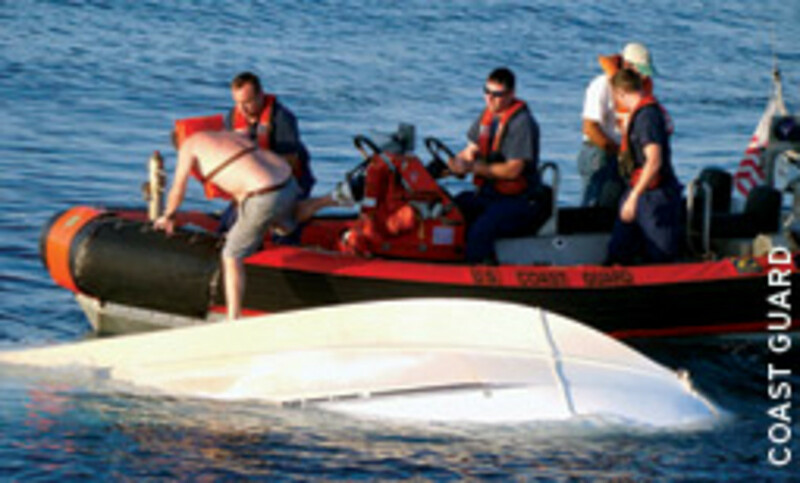 “Notify” the Coast Guard as soon as it appears you might be in trouble. “Don’t hesitate,” he says. “Make yourself obnoxious and noticeable.” Send a mayday, activate an EPIRB, send up flares and smoke signals, use a signal mirror. 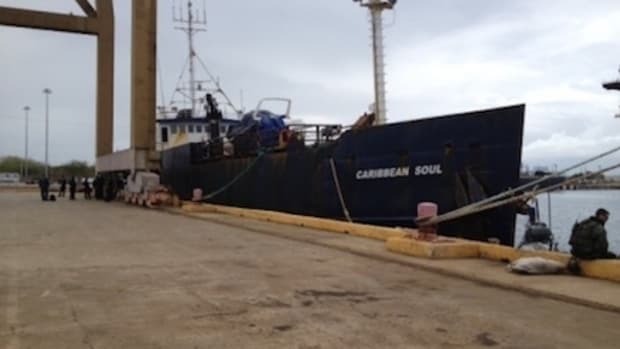 Jozsef tells of a boater whose engine failed between South Florida and Freeport in the Bahamas. 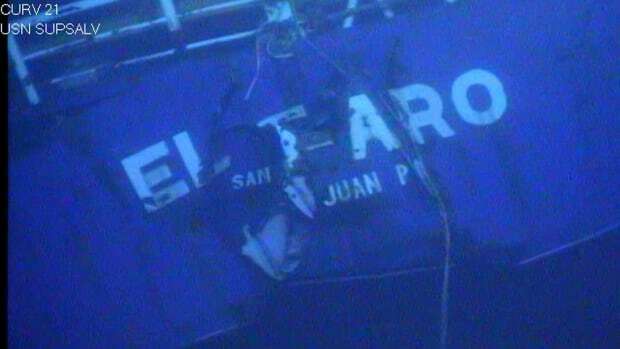 Searchers found the boat three days later off Jacksonville. The Gulf Stream, running at 3 to 4 knots, had quickly carried the boat hundreds of miles north, expanding the search area by thousands of square miles. 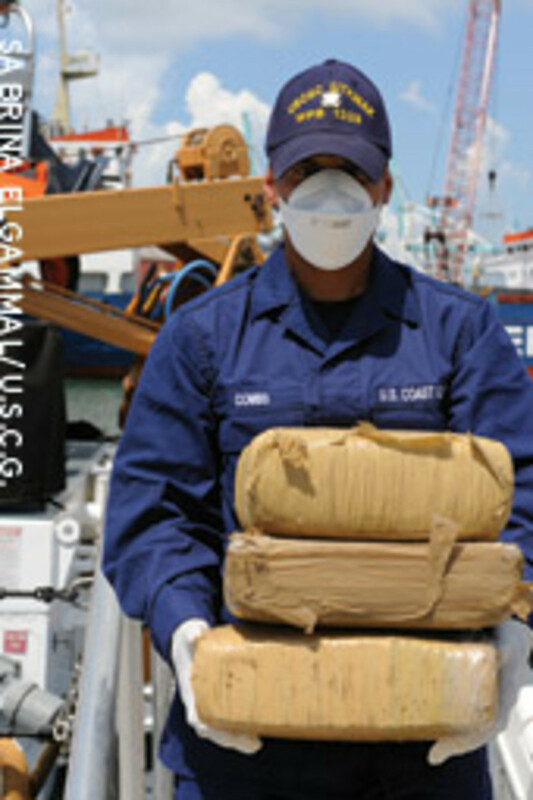 Law-enforcement staff at the Miami Command Center fight drug smuggling along side their search-and-rescue responsibilites. “Survive” — don a life jacket, wear appropriate clothing, grab a ditch bag, stay together and with the vessel, if possible. Jozsef says that carrying a personal locator beacon is a good idea if you abandon the boat, but be aware that it does not replace an EPIRB. A PLB antenna must be manually deployed, held out of the water entirely, pointed to the sky and kept as dry as possible to work properly. 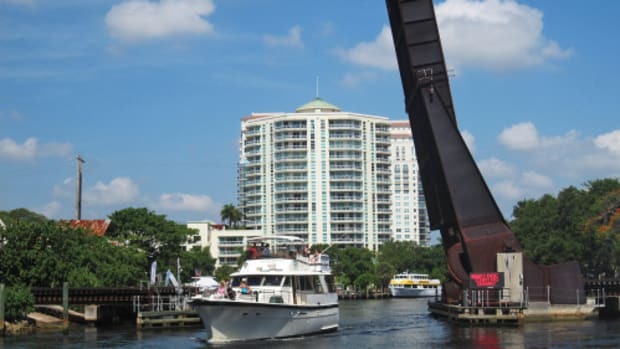 Eighty percent of false EPIRB alerts are caused by poor maintenance, especially the bracket that holds the EPIRB in place on deck and keeps it from getting wet, says Larry Yarbrough, the Coast Guard’s fishing vessel safety program’s Miami coordinator. If the bracket is leaky and allows water to get to the EPIRB, the device can automatically activate. When you have the EPIRB’s batteries changed every five years, “It’s important to have the bracket looked at to make sure the system works,” he says. 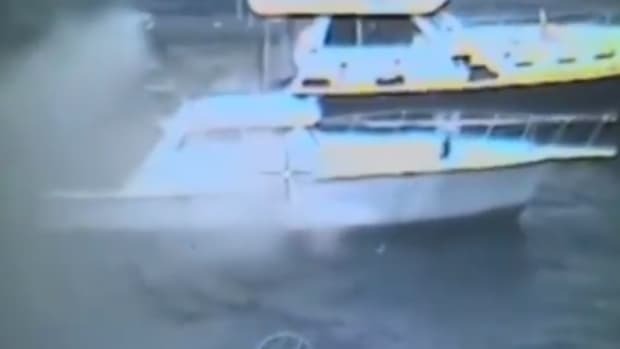 The Coast Guard’s Boating Safety Advisory Council is gathering data to see whether the agency should require EPIRBs on all pleasure boats three miles or more offshore. “As an individual who has a fair knowledge of the search-and-rescue system … I think the boating public would be well served by requiring boats to carry EPIRBs three miles [or more] offshore,” Yarbrough says. A requirement could save lives and save the taxpayer money by reducing search costs, he says. This article originally appeared in our Active Interest Media affiliate publication Soundings and can be viewed by clicking here.